Tailifts offers both dry freight and refrigerated aluminium rollover doors. These doors are made to specification and are available within days of order. No waiting for shipments from other countries! Our locally manufactured double skin aluminium rollover doors have a twin spring mechanism which makes them easy to open and rubber seals which ensure no leakage. 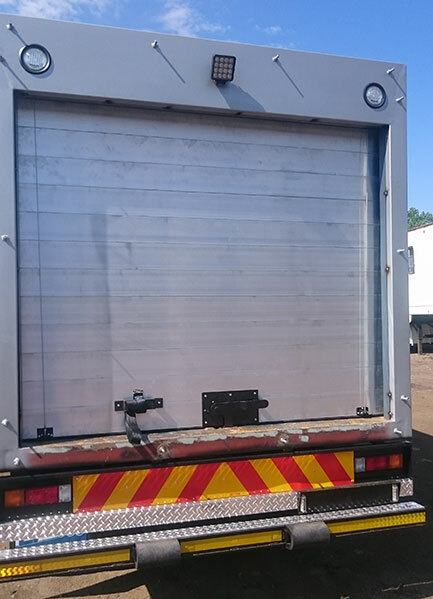 They have a throw over security lock to ensure the security of the load and can be mounted on the rear or the side of the truck or trailer.